USElite Winery Supplies respects your privacy. We will only collect, store and use your personal information for defined purposes. We use your information to support and enhance our relationship with you…, for example, to process your purchase, provide service and support, and share product, service and company news and offerings. We do not sell your personal information. We only share your personal data outside USElite Winery Supplies with your consent, as required by law or to protect USElite Winery Supplies, its customers, or the public, or with companies that help USElite Winery Supplies fulfill its obligations with you, such as the Post Office, and then only with partners who share USElite Winery Supplies' commitment to protecting your privacy and data. 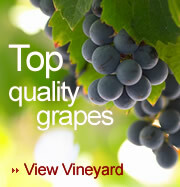 At any time you may contact USElite Winery Supplies with any privacy questions or concerns you may have. You also may ask at any time to see the data you have given us and request correction or deletion. We strive to ensure a high level of security and confidentiality.